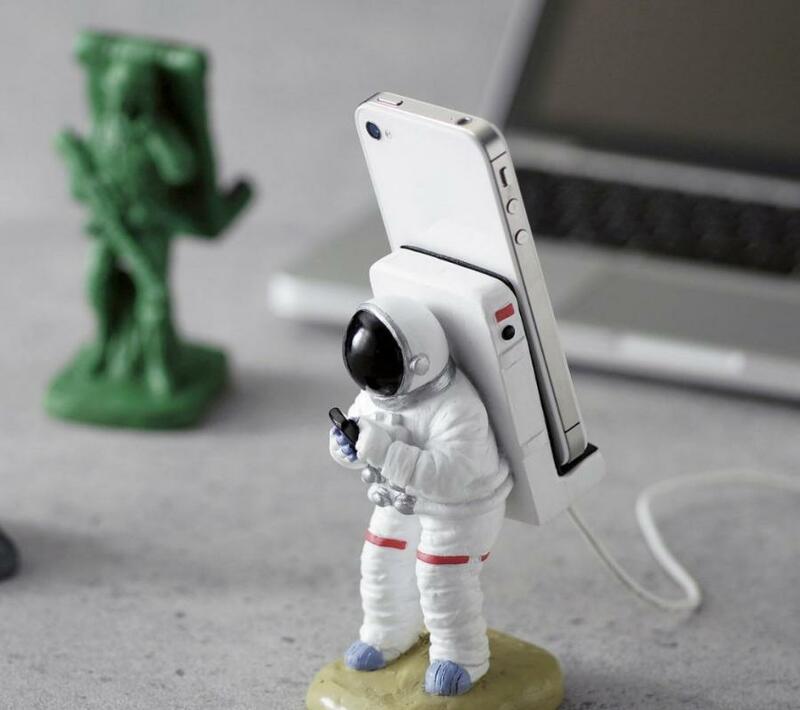 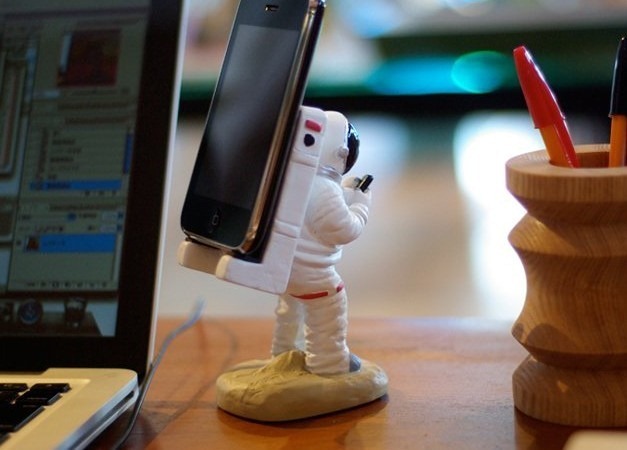 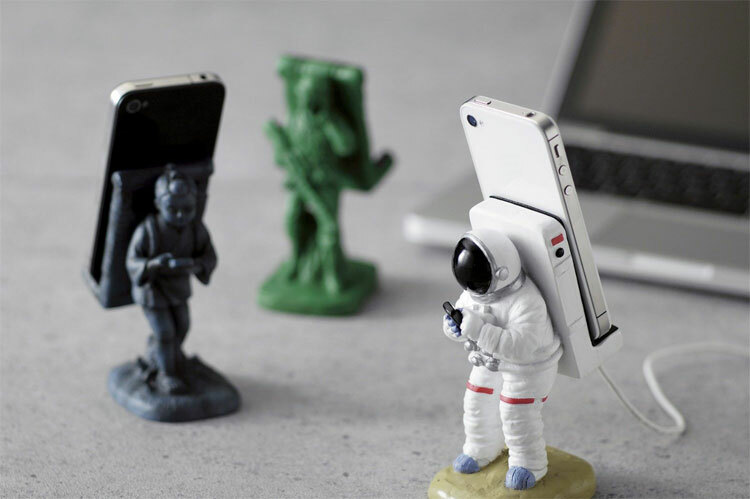 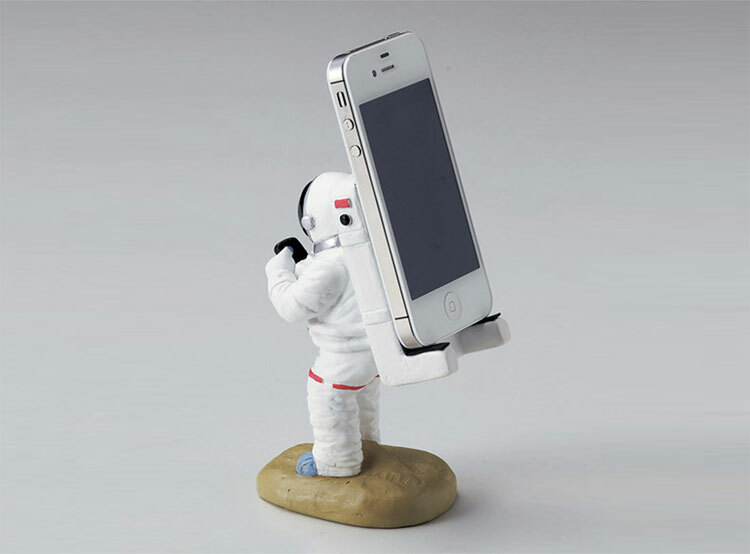 The astronaut iPhone stand is an iPhone dock that will charge your iPhone that looks just a like a real astronaut, and your iPhone is the astronauts oxygen tank, or life support backpack, or whatever you call that thing. The astronaut is also depicted being a little distracted from his duties by checking his phone for emails, text messages, or perhaps browsing reddit. 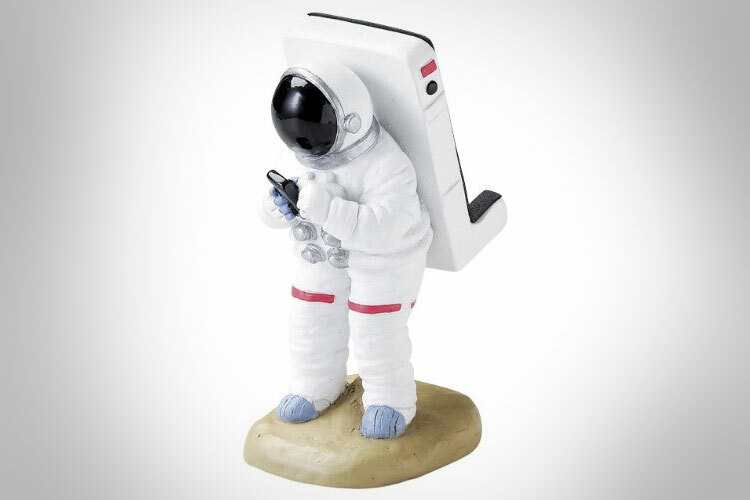 The astronaut smartphone dock is compatible with any smartphone iphone, or android, etc.. is a great gift idea for the space loving kid or man boy who hopes to be an astronaut someday, and it weighs just 15oz.